A vital part of many of our courses at Newcastle University is practical work; giving student’s the opportunity to apply their theoretical knowledge is essential in helping them to progress. 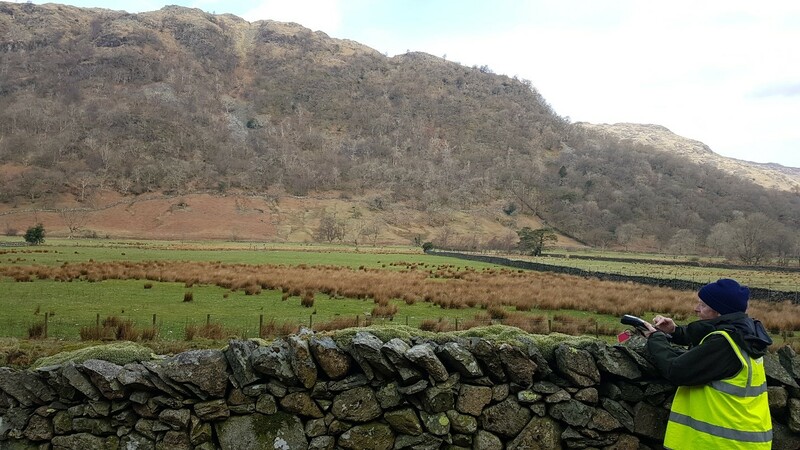 Today, Geomatics student, Sheoma Richards, tells us about her experience of a field trip to Seathwaite Valley. 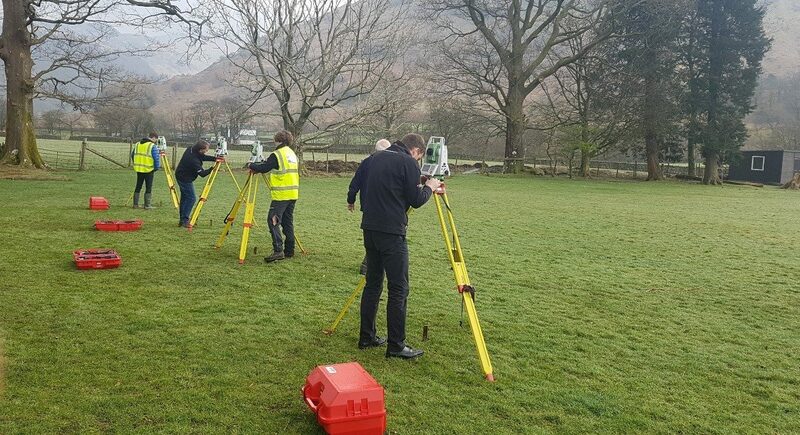 Every year first year students on the Geomatics courses embark on an eight-day field course to Seathwaite Valley in the Lake District. The purpose of this trip is to allow students to practice the stills learnt in a lecture room to accomplish real world tasks. The overall aim was to produce a detailed topographic and contour map of a given area by triangulation, levelling, traversing and detailing. We arrived to Glaramara House which was our base where we would process our data, have meals and spend the night. GIS (Geographical Information Systems) students set out to create a sampling regime to capture soil moisture values and analyze these values based on a quantitative and qualitative hypothesis against soil moisture. SMS (Surveying and Mapping Science) students practiced setting up a total station, taking angle measurements and completed a two-peg test. We all had an evening lecture and then savored one of the many astounding three-course dinners provided by the hotel. GIS students collected their points and returned to the hotel to upload and process them for analysis. SMS students occupied a specific control station and sited to other visible stations within the triangulation network. They also drew a witness diagram for the station that they occupied and created abstract sheets for horizontal and vertical angles. Dr. David Fairbairn using a Leica Zenos. 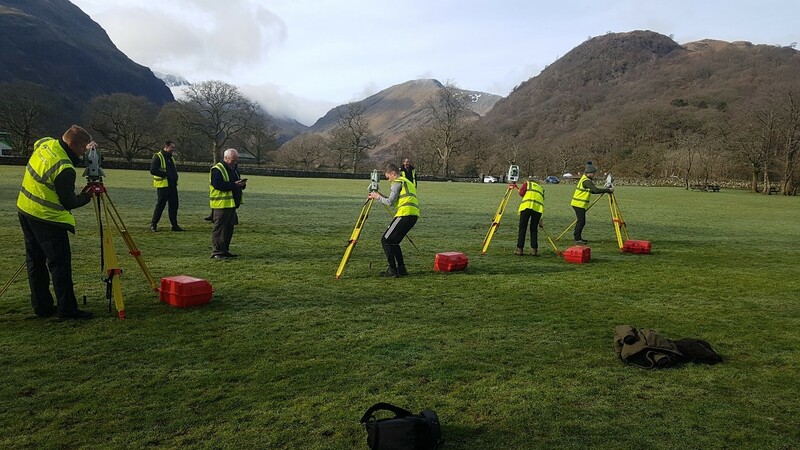 GIS students presented their findings and proceeded to Seathwaite Valley to measure 12 rounds of observations for horizontal angles. SMS students did levelling at the valley to confirm that the values from OSBM remained unchanged over the years. In the evening, all Geomatics students were now joined and divided into four groups to establish a control network scheme. The Lake District showed us its true potential as we were showered with rain for that entire day. To my surprise, we were greeted by a bright yellow object in the sky that we definitely did not expect to see. A set-up challenge was performed to determine the location that each group would have to survey. Group two celebrated as they proved to be victorious on this challenge and were able to get the first choice. After the challenge was over, each group went to their respective sites with ranging rods to complete reconnaissance. We headed back to the center for lunch and later returned to the valley to start traversing. We placed pegs into the ground to create the control stations and drew witness diagrams to be able to locate them for future reference. Nominated member of each group performing the set-up challenge. At first, we were very worried that we would not be able to do any traversing as there was thick fog everywhere! However, a few minutes after arriving to the valley, the fog suddenly vanished, making way for the sun. We continued our traverse observations and computed our traverse for horizontal and vertical misclosures. Levelling was also completed to known benchmarks to make sure that our vertical values of two stations matched those of the OSBM. Despite the soggy weather, more levelling was done, and groups began to detail points of their site to be able to map the area. These detail points were entered into a spreadsheet to generate the coordinates of each point for plotting. We also created 2D and 3D excel spreadsheets of our traverse observations. Levelling through the rainy weather. Groups continued to detail while some members remained at the hotel to start the process of plotting. Later that evening, we were visited by two representatives from Leica Geosystems who demonstrated some of their software and equipment to us. One of the representatives was a past student of Newcastle University and also educated us on life beyond Geomatics. There was a set-up competition between the representatives from Leica Geosystems and two staff members. The winner was Dr. Mills who currently holds the record for the fastest set-up time! We proceeded with our plotting while some members got additional information for detailing. 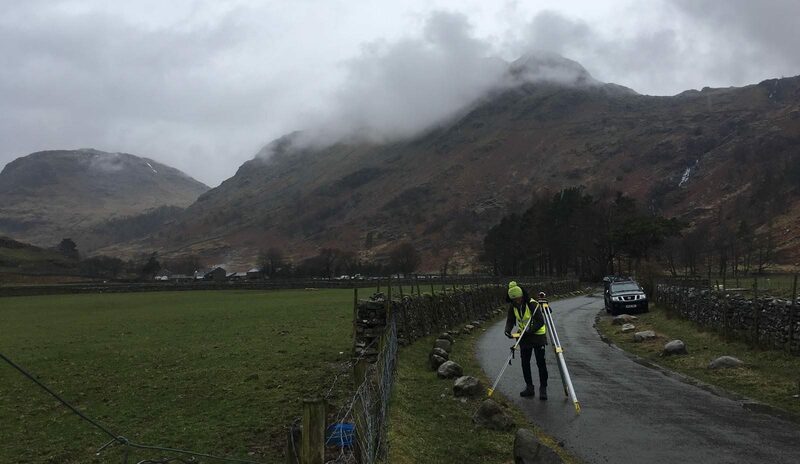 Once the plotting was completed, it was impressive to see the finished product of a topographic and contour map of Seathwaite Valley for each site. As a feeling of contentment came over us, reality struck when we realized that this meant we would be leaving tomorrow morning. Representatives from Leica Geosystems competing against two staff members for set-up competition. Although it was eight days filled with work, it was one of the most enjoyable things that I have done on the course thus far. I would advise prospective students to make the most of this field course and appreciate the method of processing by hand. Only when you understand what is done by the instrument and software, would you truly understand what you are doing. If you are looking for a degree course that not only teaches you what you need to know but also challenges you to think outside the box, Newcastle University’s Geomatics courses are for you! Find out more about Newcastle University’s Geomatics courses here.